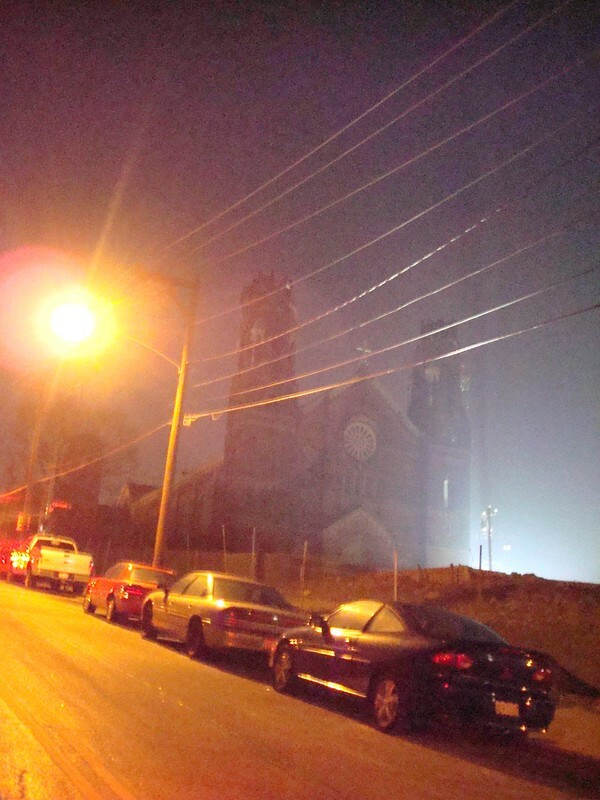 "If you're ever lost, just look for the two steeples and you'll find your way home." Long before University of Cincinnati amassed Clifton, my great-grandmother lived along the hilltop neighborhood of Scioto Street near Old Saint George Church. A sprawling community of a bygone era, my mother and her siblings explored the urban streets as children. Unsupervised, my great-grandmother always reminded my mother to watch for Old Saint George's iconic two steeples in case she ever wandered far from home. Fast-forward sixty years and I'm reminded of my mother's story every time I pass through Clifton. 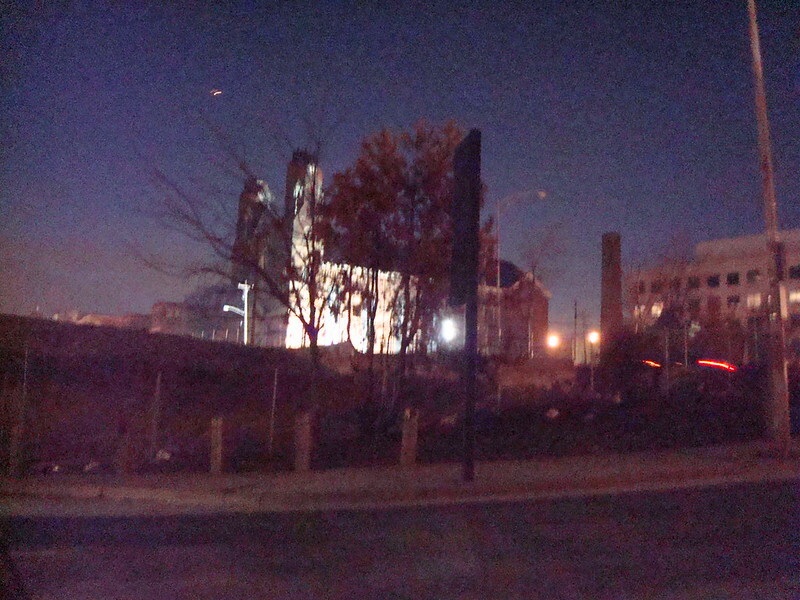 My great-grandmother's house was gobbled up by the university campus, but Old Saint George still remained. That is, until the night of February 1, 2008. A fire broke out in the left steeple and quickly spread to the right, caused by combustible materials stored too closely to a light bulb. 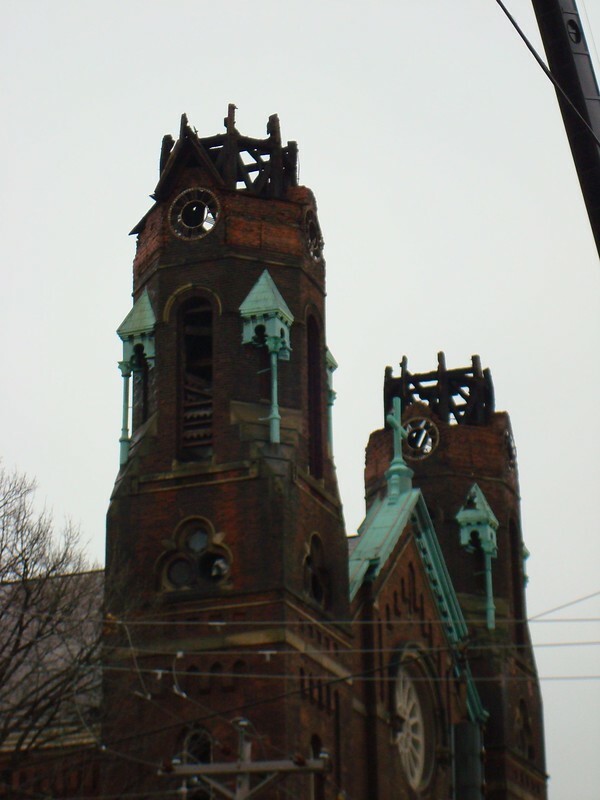 Forty-five minutes later, both steeples collapsed. 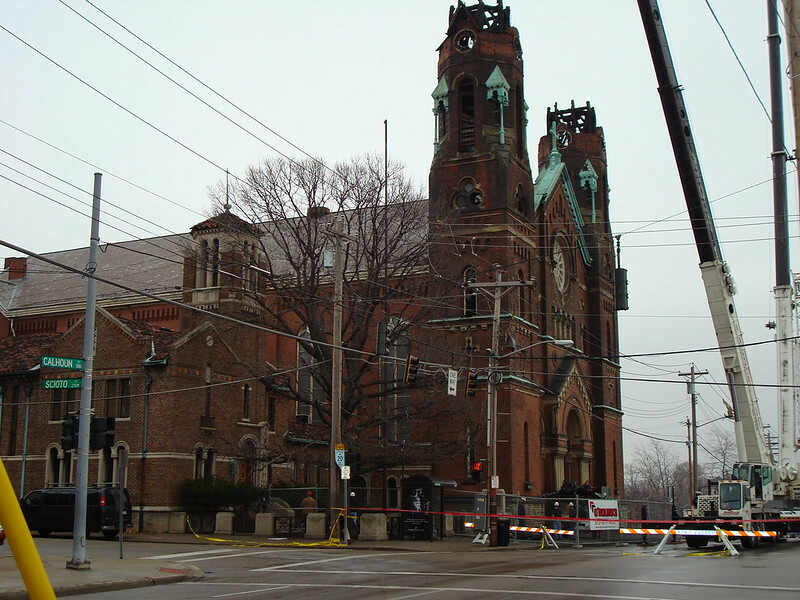 Due to the all-wood and bronze construction of the towers, the steeples were a total loss. I drove up to Clifton that night to get a look at the blaze, which left me with a feeling like a page had been ripped out of our family storybook. Since abandoned and pending demolition, the property was purchased for $1.6 million by the Clifton Heights Community Urban Redevelopment. 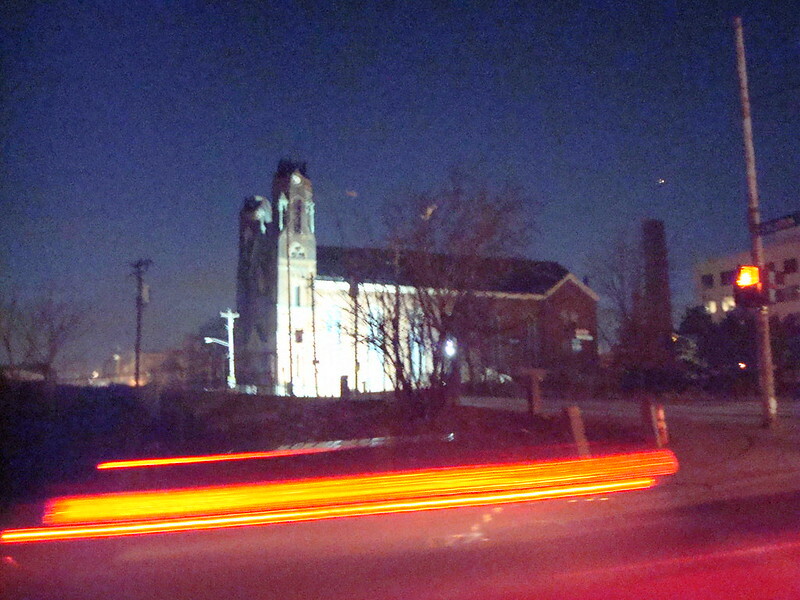 Five years later, the organization plans to renovate the historic church to become an 80-room hotel and events center. Perhaps one day, Old Saint George will also find its way home.